KrisAnne Weiss, mezzo-soprano, has performed leading roles in many operas, including L’Italiana in Algeri, The Dangerous Liaisons, The Merry Wives of Windsor, Le Nozze di Figaro, Così fan tutte, Carmen, and Madama Butterfly. 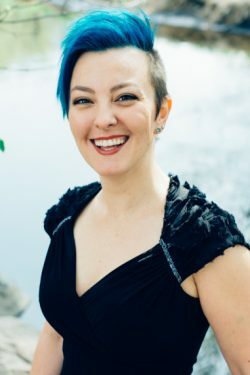 She has appeared with the Pine Mountain Music Festival, Fargo Moorhead Opera, Opera Omaha, Central City Opera, Minnesota Concert Opera, and Minnesota Opera. Her concert appearances include solos in Bach’s B minor Mass, St John Passion, and St Matthew Passion; Mozart’s C minor Mass, Coronation Mass, and Requiem; and Vivaldi’s Gloria and Magnificat. She has performed with Zeitgeist, Valley Chamber Chorale, St. Catherine Choral Society, the Bakken Trio, Lawrence University Symphony Orchestra, Mississippi Valley Orchestra, Plymouth Symphony, Bel Canto Chorus of Milwaukee, Duluth-Superior Symphony Orchestra, Nautilus Music-Theater, Exultate, and the Metropolitan Symphony Orchestra, among others. An advocate of contemporary music, Dr. Weiss has premiered a number of works, among them John Tartaglia’s orchestral work Dark Night, Glad Day, Edie Hill’s dramatic concert work Amy Lowell: A Rare Pattern, and the lead role in Chris Gable’s opera The Ladysmith Story. In 2014, she was one of five performers selected to join Nautilus Music-Theater’s Composer-Librettist studio, a two-week workshop that yielded 25 new music-theater works and culminated in two Rough Cuts performances. Also an accomplished recitalist, chamber musician, and narrator, Dr. Weiss has given many solo recitals in the Twin Cities and can be heard in frequent collaborations with other local musicians. She has appeared on concert series at Saint Anthony Park Lutheran Church and Unity Church-Unitarian in Saint Paul, and has presented recitals at the Minneapolis Woman’s Club, for the Minnesota Grieg Society, and for the Schubert Club. Dr. Weiss completed her Master of Music and Doctor of Musical Arts degrees at the University of Minnesota, where she received the University Fellowship, the Graduate Research Partnership Program Grant, and the Schuessler Graduate Prize in Voice. She has taught on the voice faculties of the University of Minnesota, Lawrence University in Appleton, WI, Luther College in Decorah, IA, and Lutheran Summer Music Festival and Academy. Currently, she teaches in her private studio and at the Mount Olivet School of Music in Minneapolis, and will join the faculty at St. Olaf College for spring 2018.